Last year, Safeway puffed its chest a little bit over being the only major grocery chain in D.C. to compost its food waste -- at one store, the new LEED Gold-certified Social Safeway on Wisconsin Avenue. Now, says a spokesman, all their stores are composting, making them the biggest composter on the East Coast. Well, in the ongoing and eternal D.C. grocery store wars, Giant wouldn't let that stand: They just signed a contract with a company called Casella to start composting at all six D.C. stores within the next 30 to 60 days. That's going to matter a lot, given that Giant estimates between 40 and 60 percent of its landfill waste is organics. For a story in next week's issue -- consider this a request to holler if you know anything! -- I'm checking with the District's other major grocery chains about their food disposal habits as well. In the mean time, restaurants and residences have access to other private haulers that will take the waste out to various locations in Maryland and Virginia. Still, the composting system in D.C. is far from robust. Only the most environmentally minded will seek out a private hauler, and even institutional-sized services are sometimes shaky: American University, for example, found itself in a pickle a few weeks ago when the Maryland facility that was taking its food waste abruptly shut down. The nearest comparable locations, says sustainability coordinator Chris O'Brien, are in Delaware and south of Richmond. 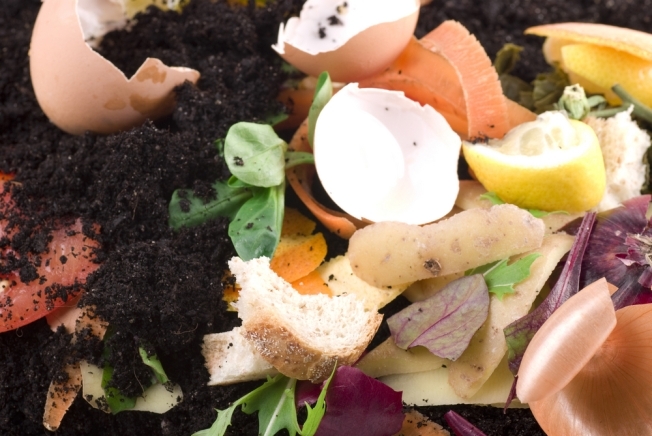 What's the District done to help push composting forward? Pretty much nothing, so far; the Department of Public Works has instead focused its ambitions on building a waste-to-energy plant in the city that would create an unending appetite for trash (and also cost on the order of $400 million to build). Other than increasing the leaf processing it already does, composting doesn't even appear in DPW's oversight hearing responses for the new initiatives it's working on at the moment. But! The SustainableDC working group on waste wants that to change. Its draft vision statement demands that the city open a section of the Fort Totten transfer station to private compost haulers within 12 months, and open a new transfer station just for organics within 18 months. With Safeway in the LEED, Giant Starts Composting was originally published by Washington City Paper on Feb. 29, 2012.